The first thing we did was search for the fried chicken menu which was happened to be on the wall behind me. After a few minutes of discussion Mr C decided that we would have to get the Half & Half Fried Chicken (above) because we couldn’t decide on the original or chilli coated version, besides we love having variety for food to try everything! 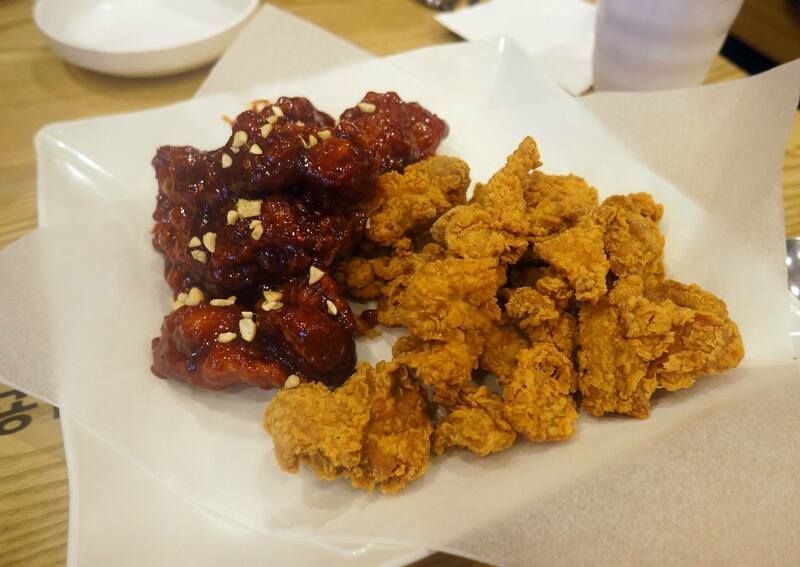 The fried chicken is indeed delicious and juicy on the inside, the batter is very crispy and flavoursome and is easily the best part of it. I would personally order the original every time. 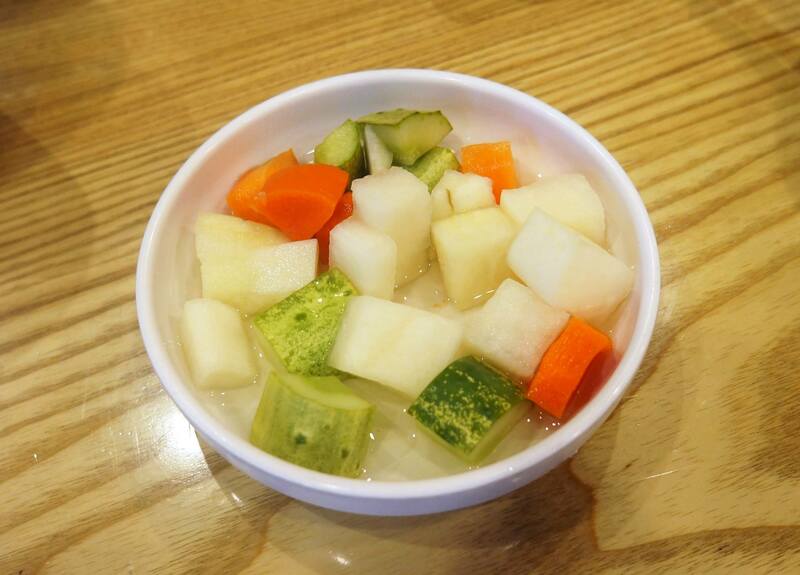 We had a lot of fried chicken in Korea and they always served the same side dish which is different from the usual Korean side dishes, it’s like chilled pickled vegetables in a sweet and sourish kind of sauce which tastes really refreshing after so much fried chicken. 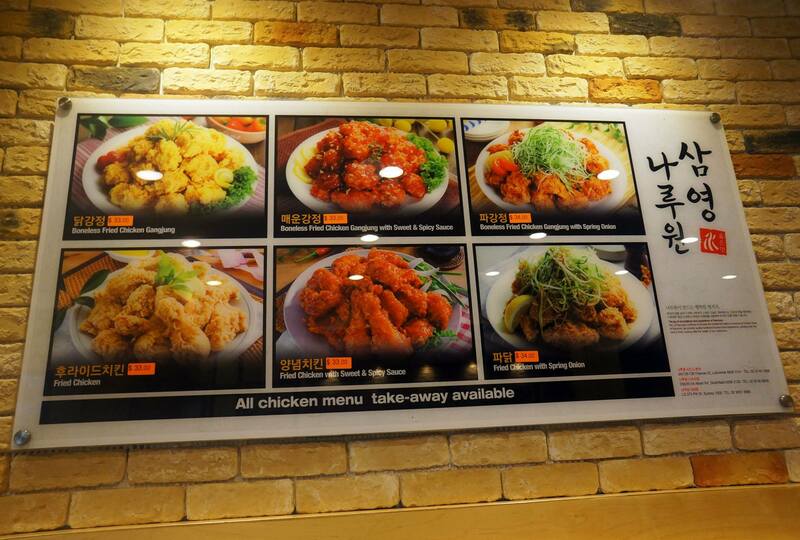 We haven’t quite had any fried chicken in Sydney before from a Korean restaurant but we were pleasantly surprised to find that NaruOne serves fried chicken thats almost just as good as Seoul! The chicken is double fried and super crispy which is exactly how we love it, and it’s only $30 for a platter enough for two. i looove the fried chicken at naruone! The temptation to make tomorrow into Fryday is really really overpowering!